Seed catalogues for 2013 are now out. The Willamette Valley is one of the richest seed-producing areas of the country, so we’re fortunate to be able to have close and intimate relationships with several farms and businesses cultivating seed crops. Seeds that are adapted to Northwest gardens or heirloom varieties from maritime cool climates elsewhere in the world that grow well in our fair state are plentiful. I’ve listed my favorites, and welcome your suggestions for others. You also might want to be aware of vegetable hybrids that are owned by Monsanto. Territorial Seed (Cottage Grove, OR): This is the big boy in the crowd, but still a solid local business. They’ve stopped stocking Seminis seeds as of a few years ago, so the rumors of a Monsanto connection aren’t true. Adaptive Seeds (Sweet Home, OR): Also Open Oak Farm, specializing in beans and grains and roots and all kinds of wonderful things for the PNW. 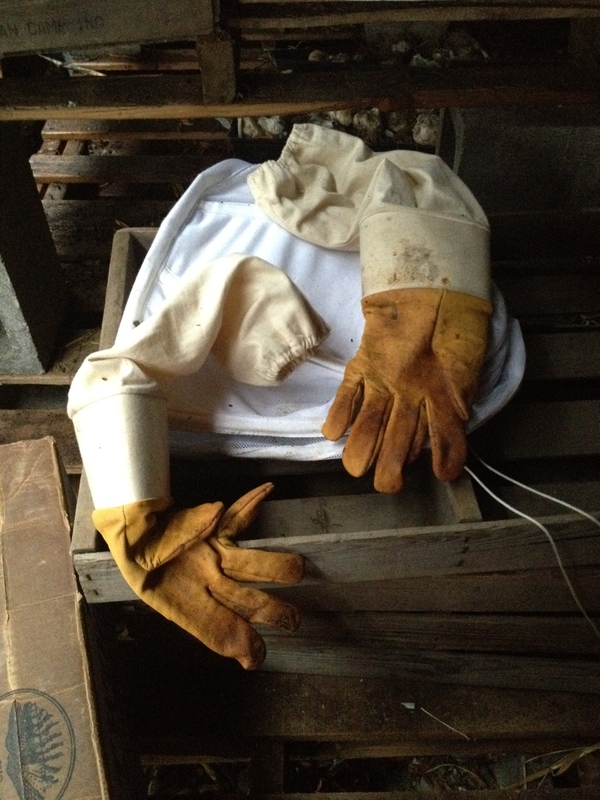 The pictures above of cool vintage farm equipment and the field used in their seed operation were taken a couple of months ago during a tour of the farm. 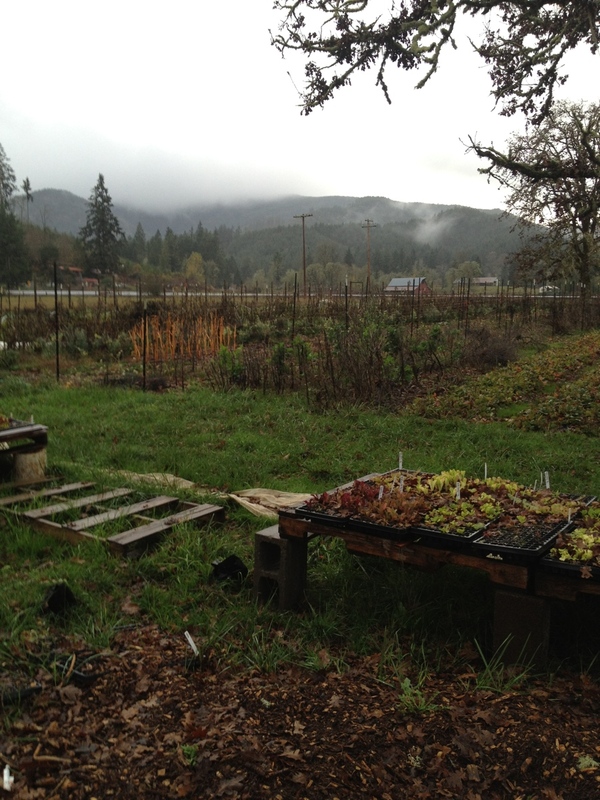 Wild Garden Seed (Philomath, OR): Also Shoulder-to-Shoulder Farm and related to Gathering Together Farm, specializing in lettuces and flowers, too. Farmer Frank Morton developed my favorite variety of kale, White Russian. Log House Plants (Cottage Grove, OR): excellent plant hybridizers responsible for the grafted tomatoes and a range of unusual seeds; check out their new Drunken Botanist collection. Nichols Nursery (Albany, OR). “New and Unusual” features sugar beets and a great romanesco-type zucchini. Siskiyou Seeds (Williams, OR): Also Seven Seeds Farm. Lists a number of cooperative seed growers locally and in WA and northern CA, too. Chinese/Japanese/some Thai produce: Kitazawa Seed Co. (Oakland, CA): These are often sold in big Asian supermarkets on the West Coast. I’ve seen them in Uwajimaya in Beaverton, but not around Eugene. Italian produce: Seeds of Italy (Italy): Absolutely gorgeous range of Italian varieties of vegetables and herbs. Be careful on the growing seasons for some of the hot weather crops. And if you’re thinking about learning more about gardening by volunteering, check out the Food for Lane County Gardens Program, which reports a record-breaking year in 2012. 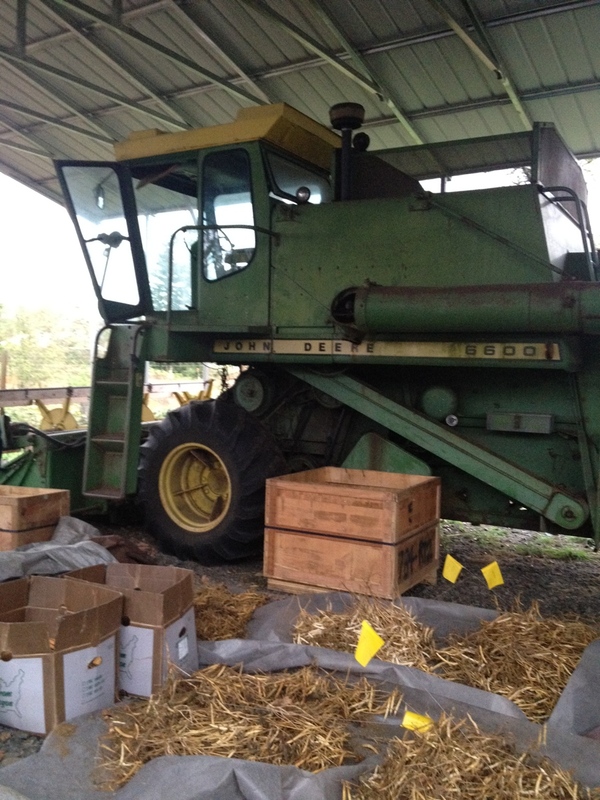 190,000 pounds (their largest yield ever) of produce distributed to meal sites and pantries! Contact Jen Anonia, Gardens Program Manager, janonia@foodforlanecounty.org or 541-343-2822. Or just donate to FFLC! There’s a terrific 1-for-1 matching program for the month of February. All donations will be matched by an anonymous donor. We’ll be interviewing Executive Director Beverlee Hughes this Sunday on Food for Thought on KLCC.